The Gunpowder is at 91 cfs, starting the day 36.5 degrees at Falls Road, and clear. 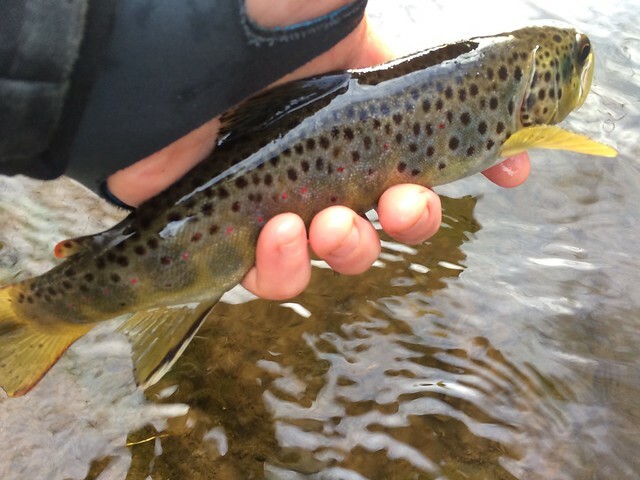 Fishing on the Gunpowder is generally slow but time put in on the river always pays off. I fished Wednesday afternoon with Darin Crew above Falls road and we had the place to ourselves. The temperature was lingering below freezing but the wind had subsided allowing for comfortable fishing. Between us we covered a lot of water and ended with 5 trout but those caught were chunky wild browns between 9 – 14 inches. When the water temperatures are as cold as they are, and little is hatching, odds are against catching numbers so it’s often worthwhile going for larger fish that may be tempted into opportunistic meal. Dead drifting streamers in the deeper pools is a great way to target these fish. 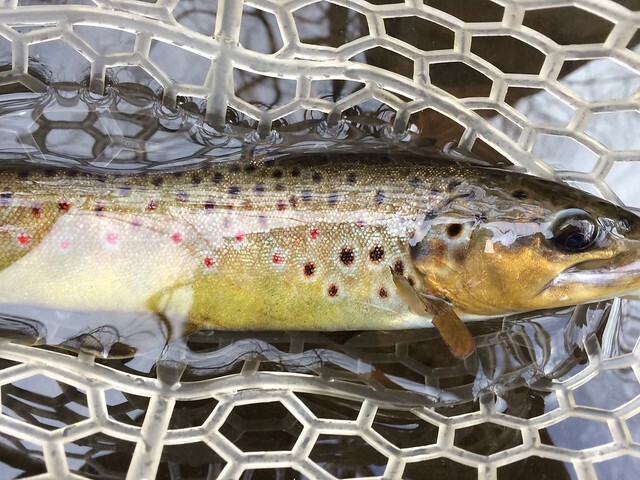 This entry was posted in fishing report on February 2, 2018 by Gene Howson.